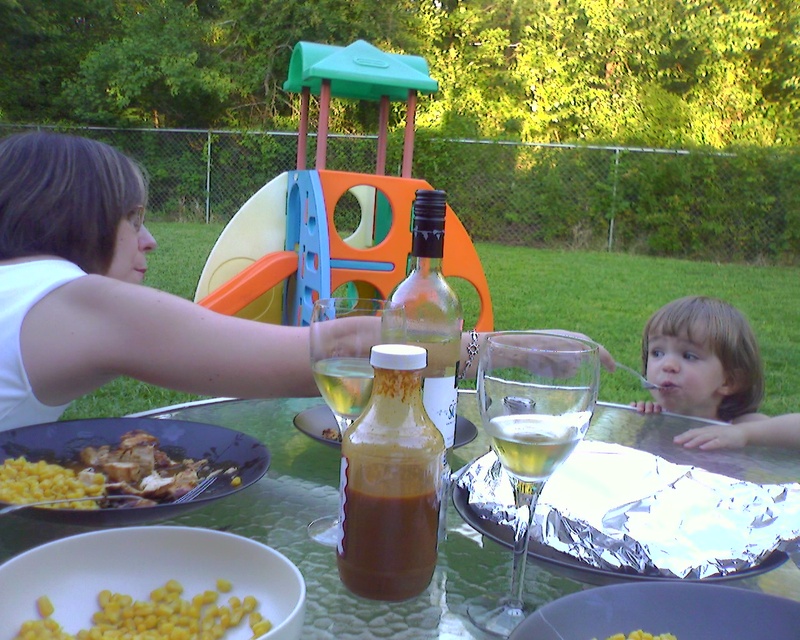 We spent the evening out back on the patio, enjoying one of the few times that it’ll still be under 85 degrees at dinnertime. 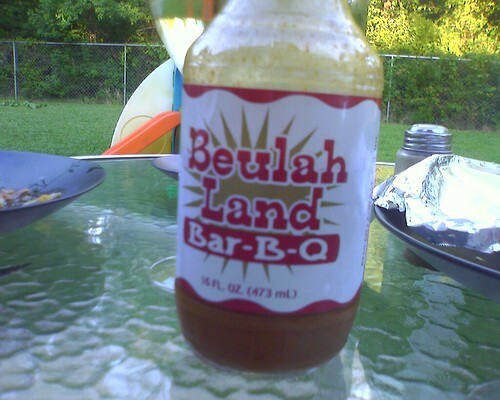 The menu: Grilled chicken, soaked in the goodness that is Beulahland Bar-B-Q sauce! Had a decent New Zealand white … Allan Scott marlborough sauvignon blanc 2007. I’ll overlook the screw-top. We’re not that wine-snobby yet. 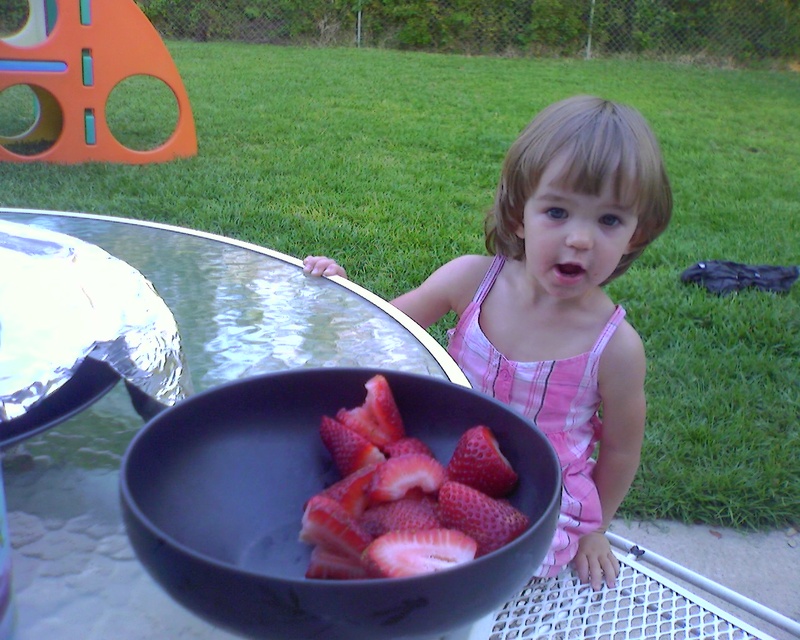 Mia B joined us after running around in circles for most of the afternoon, though she added strawberries to her menu. ANYWAY, I’m we’re still sitting outside as I type this, finishing the bottle and watch my wife, kid and dog be crazy in the twilight. Definitely could be worse.